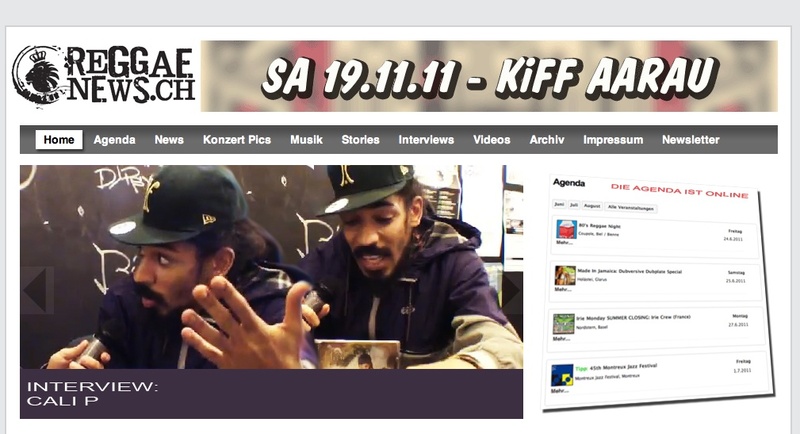 Cali P left Switzerland to go back to Jamaica last week, but just before leaving he had time to meet up with reggaenews.ch for an interview where he talks about his career and life in Jamaica, and the release of his new album: #Unstoppable. Cali P is definitely #Unstoppable this year! Having just returned from a 6 week tour through Canada and Europe, the artist is generating more and more interest on the island and has confirmed 4 new shows within the next few weeks (check the SHOWS section for more info) – including a spot on the lineup for one of the most famous reggae shows on earth: Sting. 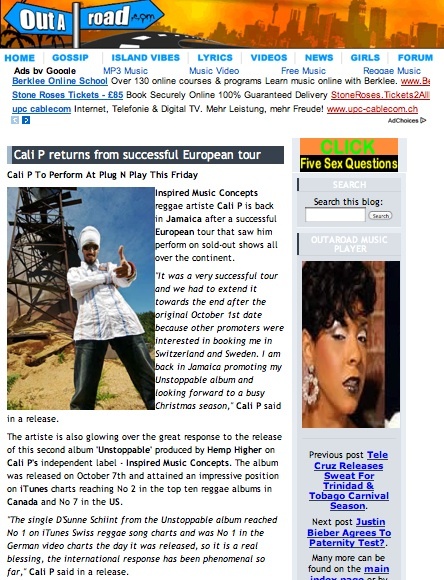 Check out the article on www.carribean celebs.com by clicking on the pic. 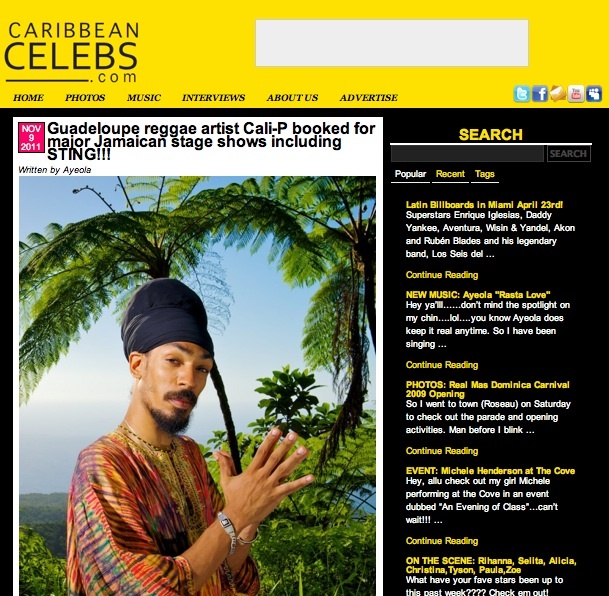 Cali P is officially back in Jamaica,check out the article on outaroad.com. The tour was a huge success and the new UNSTOPPABLE album has been getting an amazing response from the fans so far… See him performing Live next friday in Kingston at the PLUG N PLAY event – check the shows section for more details on Cali P’s next performances in Jamaica. 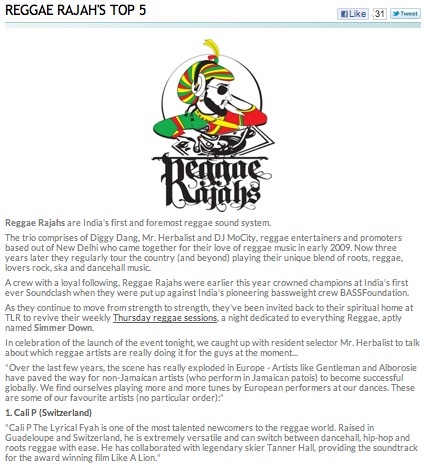 Reggae Rajahs are India’s first and foremost reggae sound system. The trio comprises of Diggy Dang, Mr. Herbalist and DJ MoCity, reggae entertainers and promoters based out of New Delhi who came together for their love of reggae music in early 2009. Now three years later they regularly tour the country (and beyond) playing their unique blend of roots, reggae, lovers rock, ska and dancehall music. They were recently asked to select there 5 top non-jamaican artists of the moment, which also included Cali P! You can hear Cali P live in 30 mins on Irie UK 99.4fm with Daddy Flexy at 4:30pm UK / 5:30pm EUR 11:30am JA. TUNE IN BY CLICKING ON THE PIC. 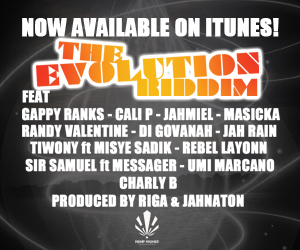 Here is a special treat for all Cali P fans… on probably one of the most anticipated riddimz of 2010: The BBQ Riddim produced by new Swedish sensation Adde alongside Fras Twinz (who previously released the BURN UP RIDDIM alongisde Hemp Higher). 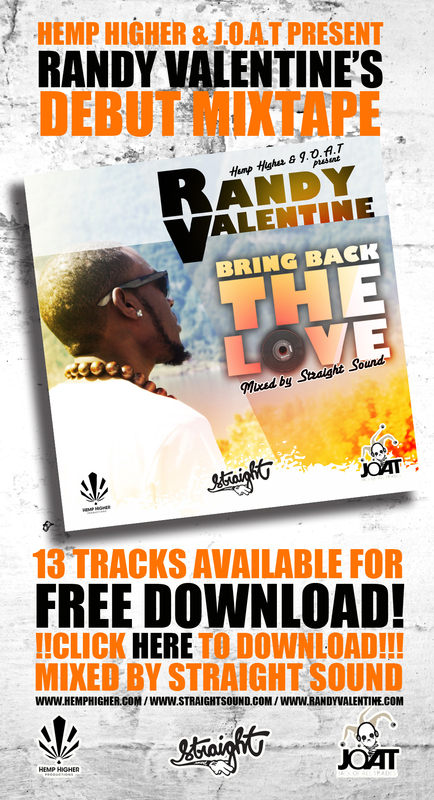 This one TUN UP! 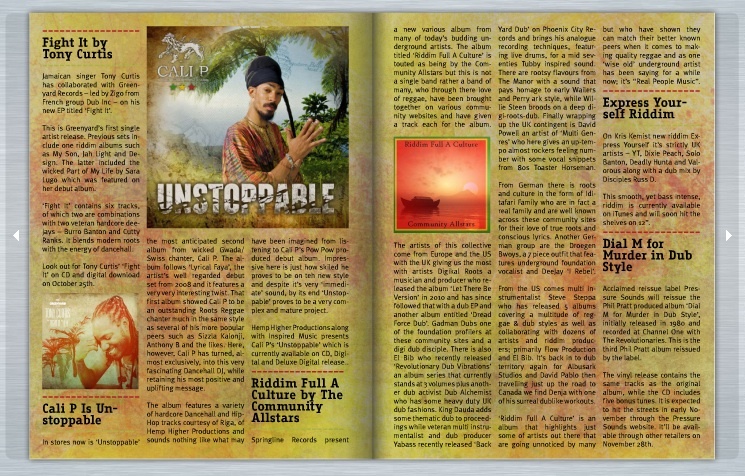 This month’s issue of United reggae magazine features a review of Cali P’s new album #Unstoppable! check it out by clicking on the picture. For all our fans on the french side of Switzerland, tune in this evening on Couler 3 from 19h swiss time to catch Cali P’s Interview with Dynamike. Click on the pic to access the website.